The White House sees artificial intelligence as an increasingly critical technology that can fight cyberattacks, upgrade weapons of war, improve health care and even unclog traffic for the commute home. However, the Obama administration also expects that A.I. will reduce low-level jobs and create security and ethical issues. With critical pros and cons looming, the federal government wants to work with the private sector and academia to guide A.I. in a positive direction, according to a recently released report, Preparing for the Future of Artificial Intelligence. The report was prepared by the National Science and Technology Council's subcommittee on Machine Learning and Artificial Intelligence. "A.I. can be a major driver of economic growth and social progress, if industry, civil society, government, and the public work together to support development of the technology, with thoughtful attention to its potential and to managing its risks," the report states. "Government has several roles to play," it continues. 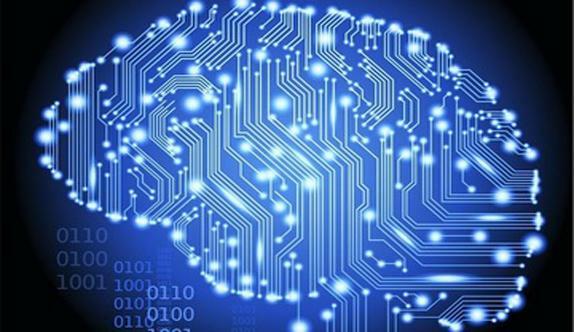 "Developing and studying machine intelligence can help us better understand and appreciate our human intelligence. Used thoughtfully, A.I. can augment our intelligence, helping us chart a better and wiser path forward." The report is getting attention today, the day before the White House Frontiers Conference being held Thursday at Carnegie Mellon University and the University of Pittsburgh. The conference, which will be hosted by President Barack Obama, is set to focus on the future of such technologies as A.I., machine learning, space exploration and robotics. The White House report also states that A.I. has the potential to be a significant driver of economic growth in the U.S. According to the National Science and Technology Council, A.I. already is benefiting society, citing as an example that Walter Reed Medical Center uses A.I. to better predict medical complications and improve combat wound treatment. Artificial intelligence also is powering smart traffic management software that the White House says is reducing traffic jams and energy use. In some areas, the software also helped reduce auto emissions by as much as 25%. The news wasn't all rosy. The White House report echoed others that have warned that advancing A.I. could take jobs away from American workers. Last month, for example, Forrester Research said that robotics and A.I. could replace human workers in 6% of U.S. jobs by 2021. In January, the World Economic Forum, in a report, said that smart systems could lead to the loss of 7 million jobs in the next several years. However, like the White House report, the forum also said that A.I. is expected to add jobs that would be at a higher level than those expected to be lost. Many of those higher level jhobs would be in computer science, math and engineering. "Analysis by the White House Council of Economic Advisors suggests that the negative effect of automation will be greatest on lower-wage jobs, and that there is a risk that A.I.-driven automation will increase the wage gap between less educated and more educated workers, potentially increasing economic inequality," the White House report said. "Public policy can address these risks, ensuring that workers are retrained and able to succeed in occupations that are complementary to, rather than competing with, automation." The report also states that the federal government must play a role in positively advancing artificial intelligence. "It can convene conversations about important issues and help to set the agenda for public debate," the report states. "It can monitor the safety and fairness of applications as they develop and adapt regulatory frameworks to encourage innovation, while protecting the public. It can provide public policy tools to ensure that disruption in the means and methods of work enabled by A.I. increases productivity while avoiding negative economic consequences for certain sectors of the workforce." The White House also called for increased investment in A.I. research and STEM education to create a workforce that can thrive in an economy that's changing because of smart systems. "One area of great optimism about A.I. and machine learning is their potential to improve people's lives by helping to solve some of the world's greatest challenges and inefficiencies," the report states. For instance, "many have compared the promise of A.I. to the transformative impacts of advancements in mobile computing." A.I. also could be used to beef up cybersecurity for individuals, companies and government organizations. Smart software could predict attacks by using dynamic threat models from real-time sources, while also monitoring network nodes, protocols, equipment and networks, according to the White House report. “A.I. may be the most effective approach to interpreting these data, proactively identifying vulnerabilities, and taking action to prevent or mitigate future attacks,” the report said. “Finally, A.I. could support planning, coordinating, integrating, synchronizing, and directing activities to operate and defend U.S. government networks."